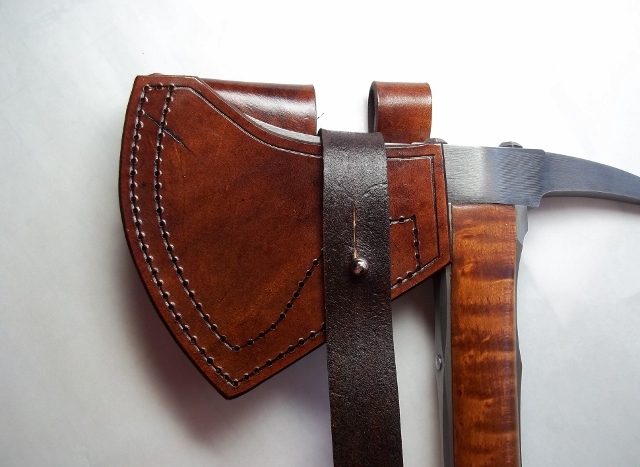 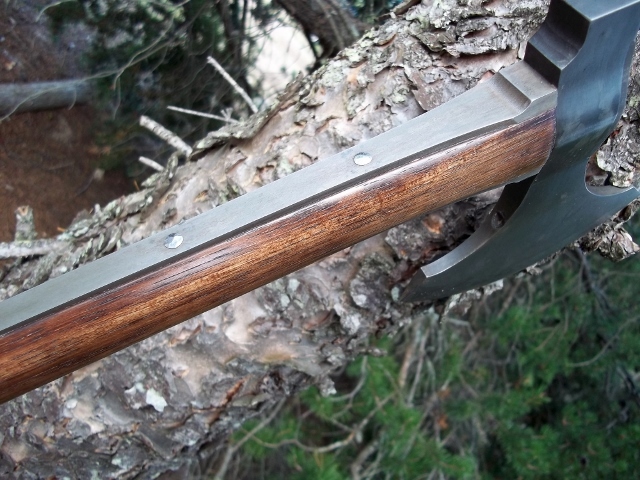 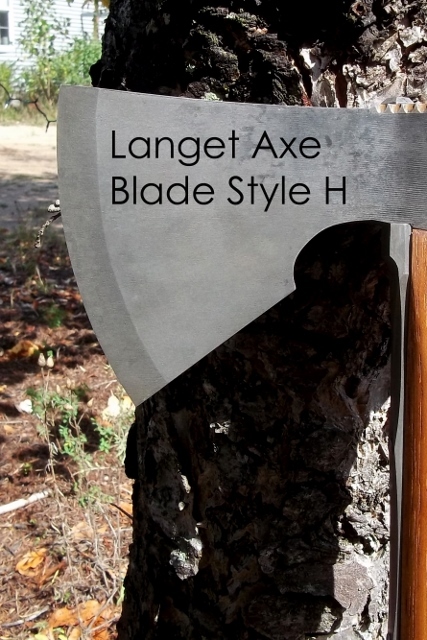 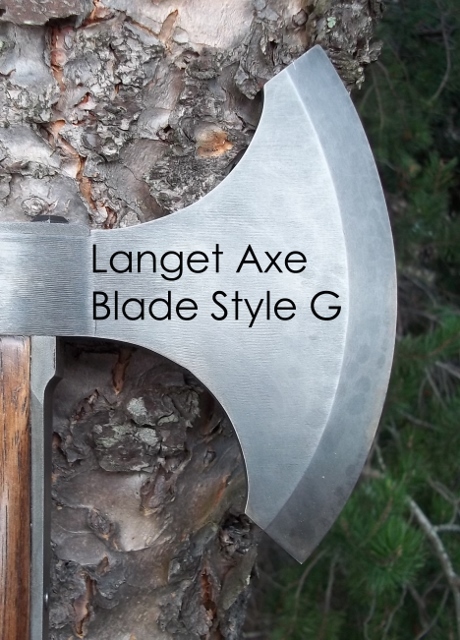 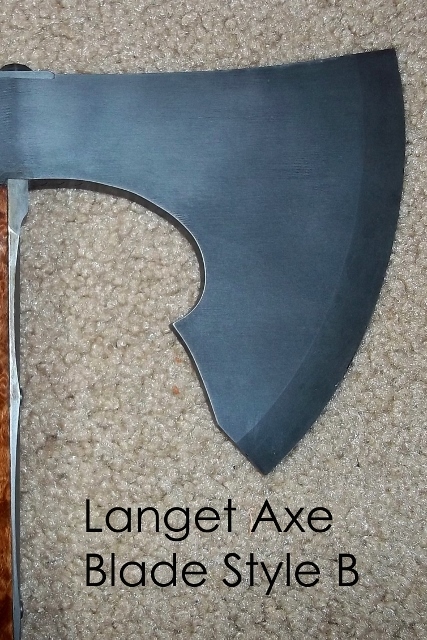 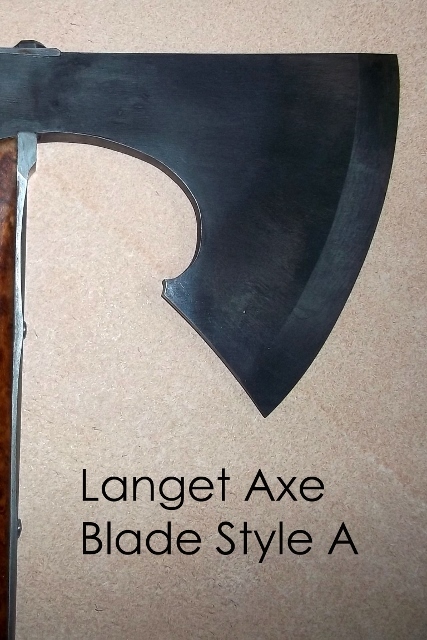 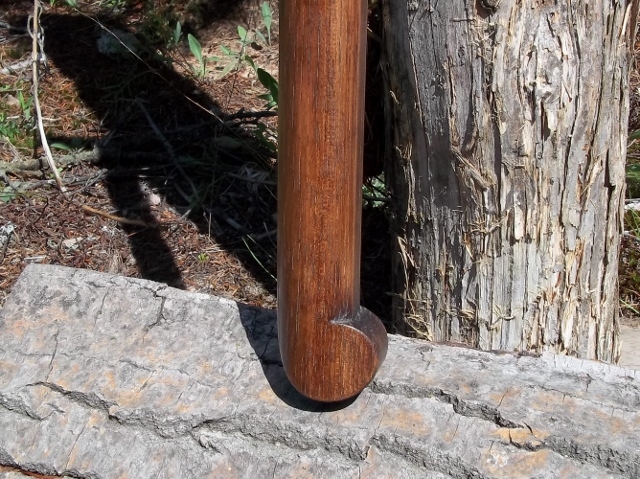 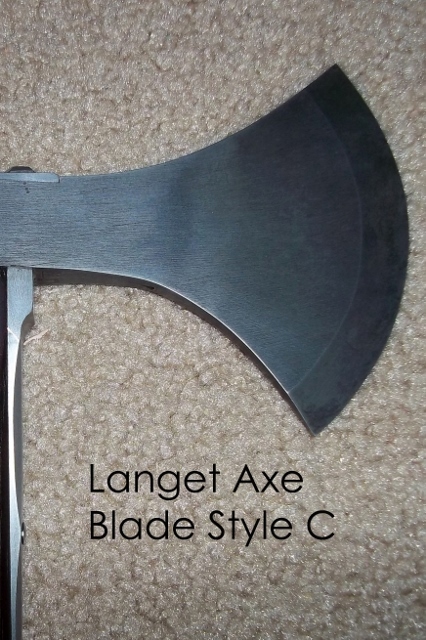 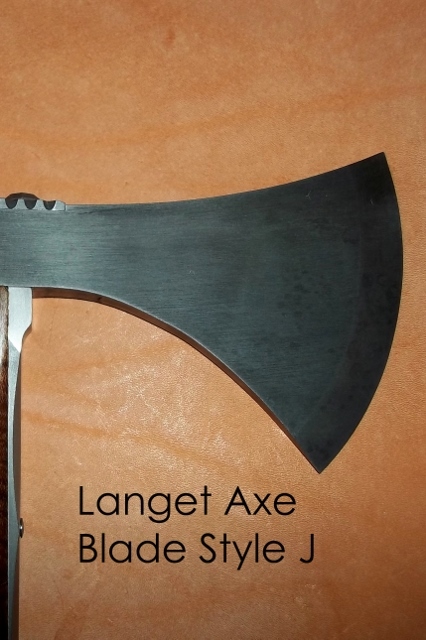 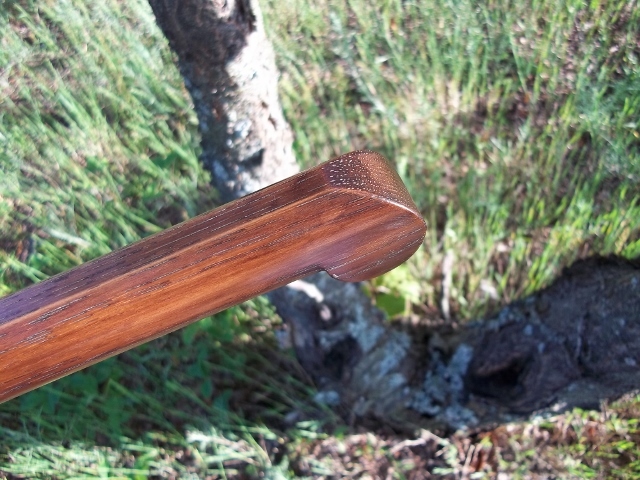 Custom, hand-forged, langet-style axe hand-made in the USA. 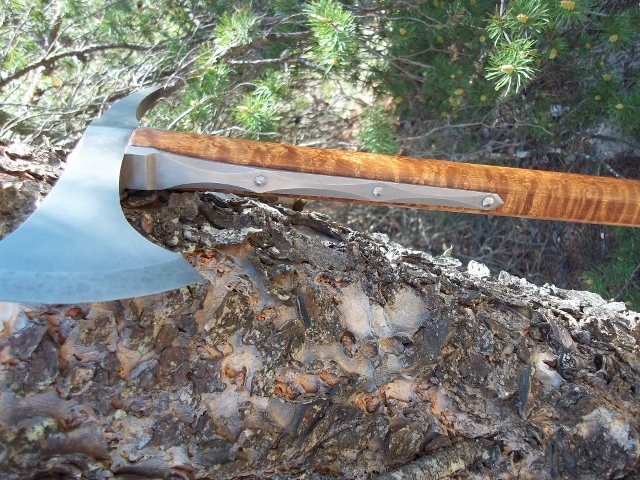 We are accepting custom orders for our hand-forged, langet-style tomahawks. 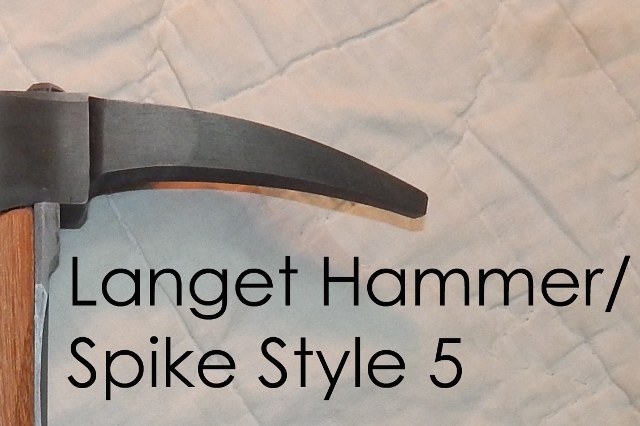 You pick the blade style, hammer or spike style, sheath style and options, etc from the drop-down menus to order a custom tomahawk built just for you! 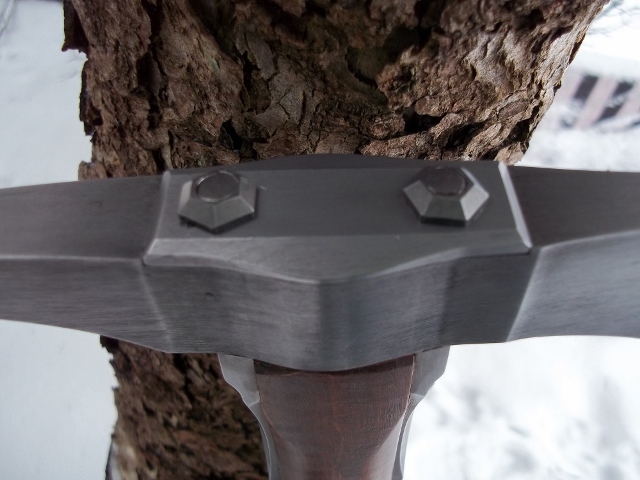 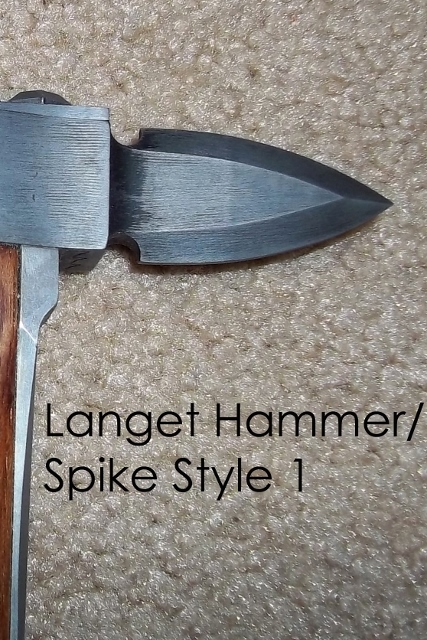 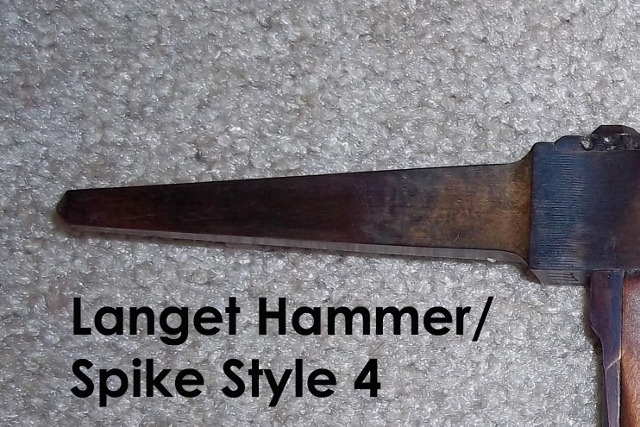 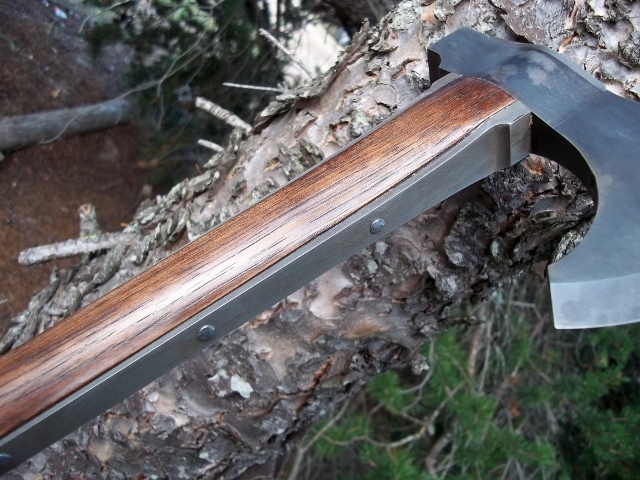 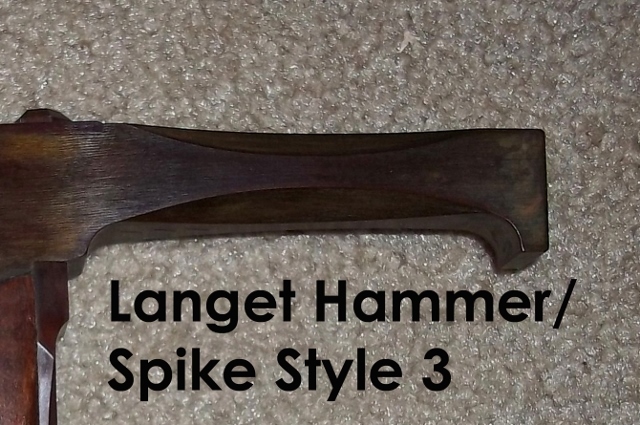 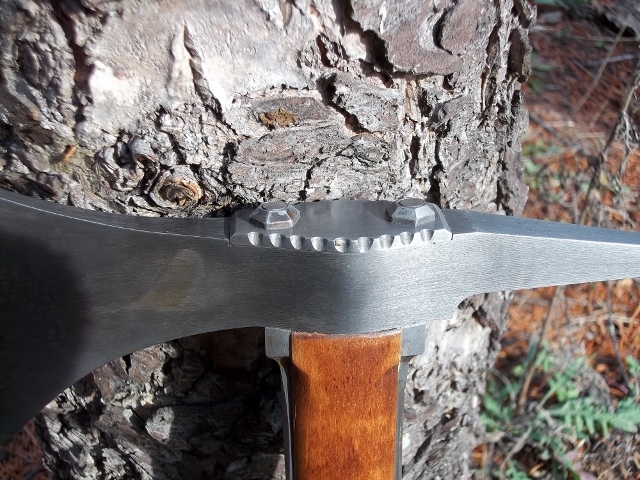 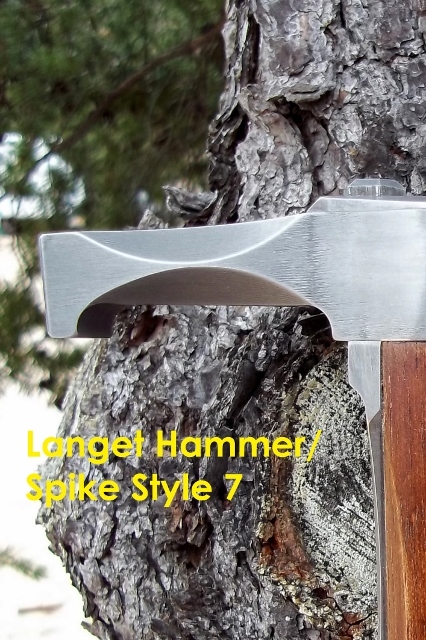 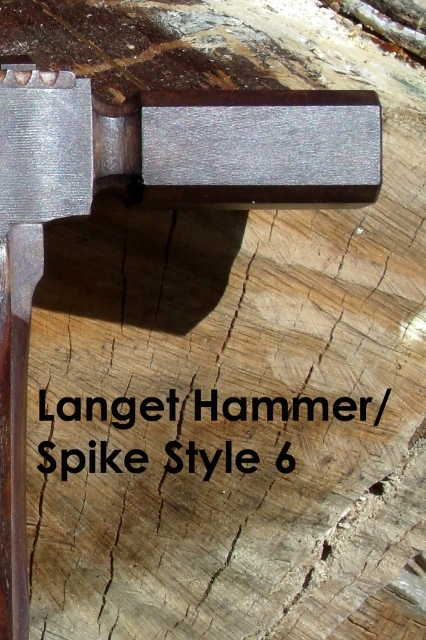 Below are photos of options for your custom, hand-forged langet-style tomahawk. 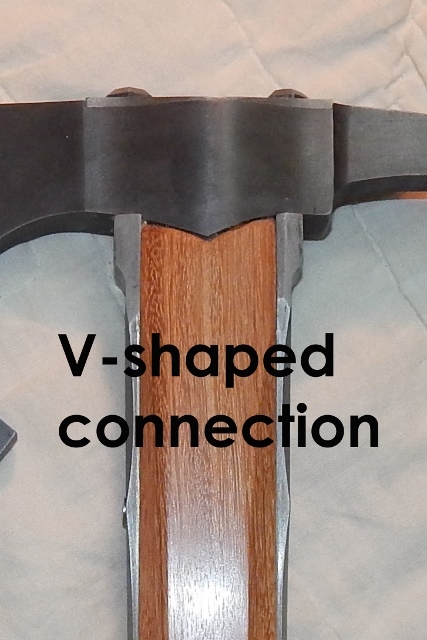 Please note the styles/shapes you desire. 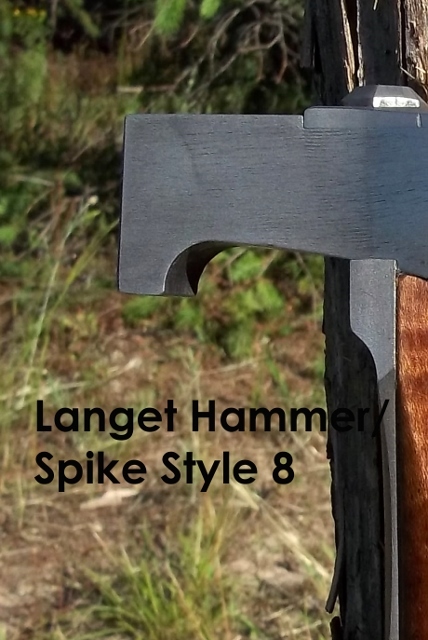 Any of these styles/shapes can be made in grayed or hot browned finish and are not dependent upon the color observed in the photos. 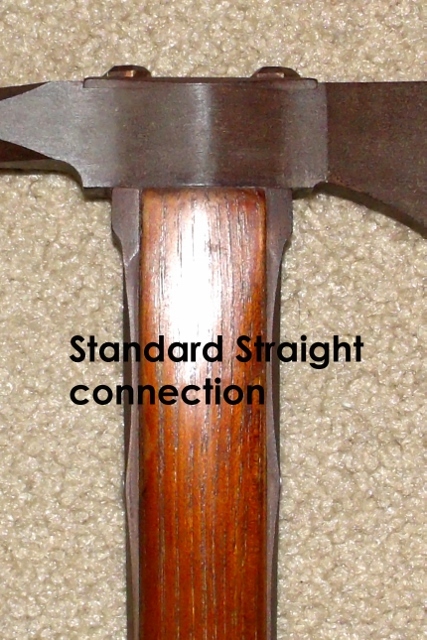 (Hot browned colors can vary.) 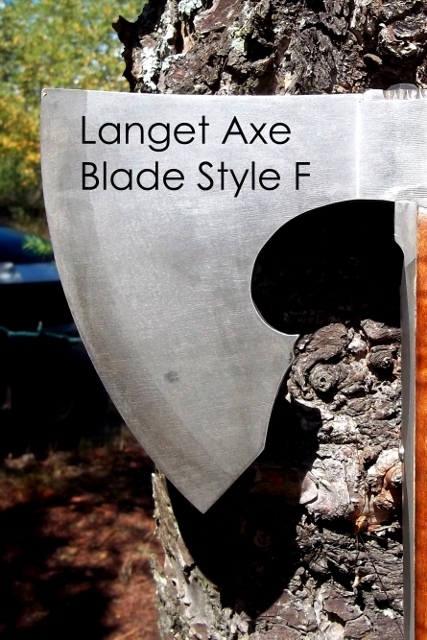 Please make your selection from the drop-down menus above. 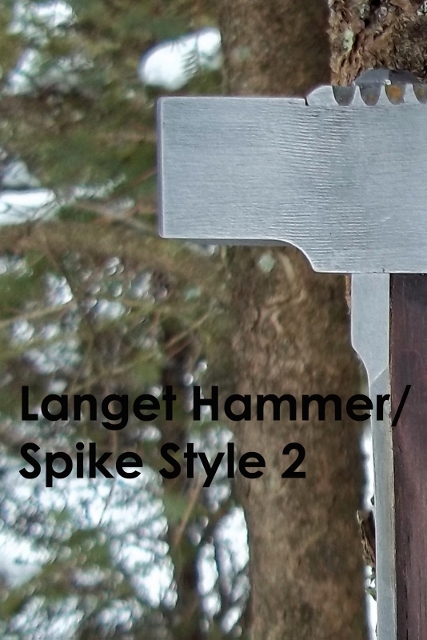 Blade Style Options Blade styles A, B, D, F, & G have approximately 4-5" cutting edges. 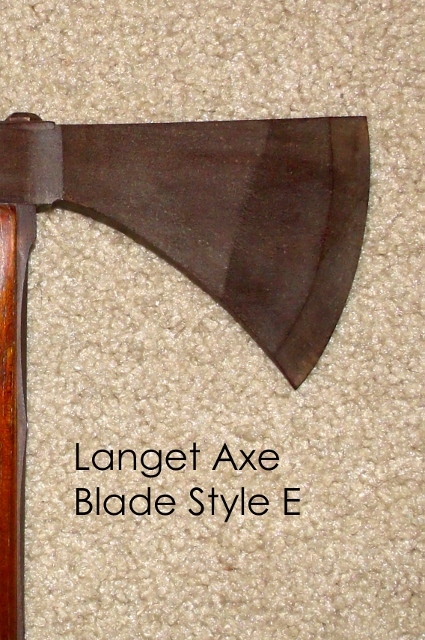 Blade styles C, E, H, & J have approximately 3-3.5" cutting edges. 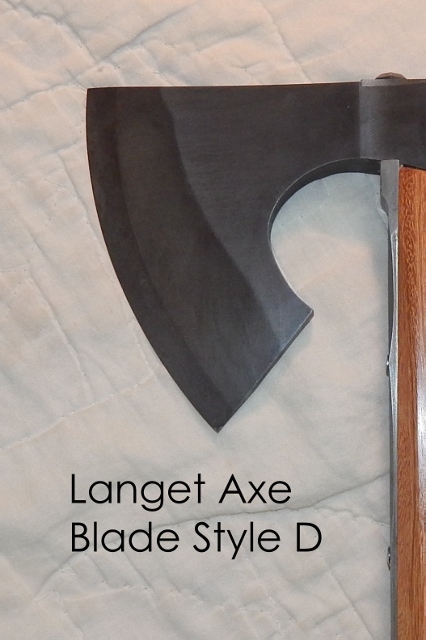 These sizes can be adjusted but require approval prior to ordering.